Mia Reilly '18 and Alyse Tran '18, two of the field hockey team's captains. Twenty wins. Zero losses. A championship. That was the moment the field hockey team beat Newport Harbor to win an LAFHA title. “It truly felt like we worked for this, so when we got the actual payoff, it was incredible,” center midfielder Rachel Brown ’20 said. 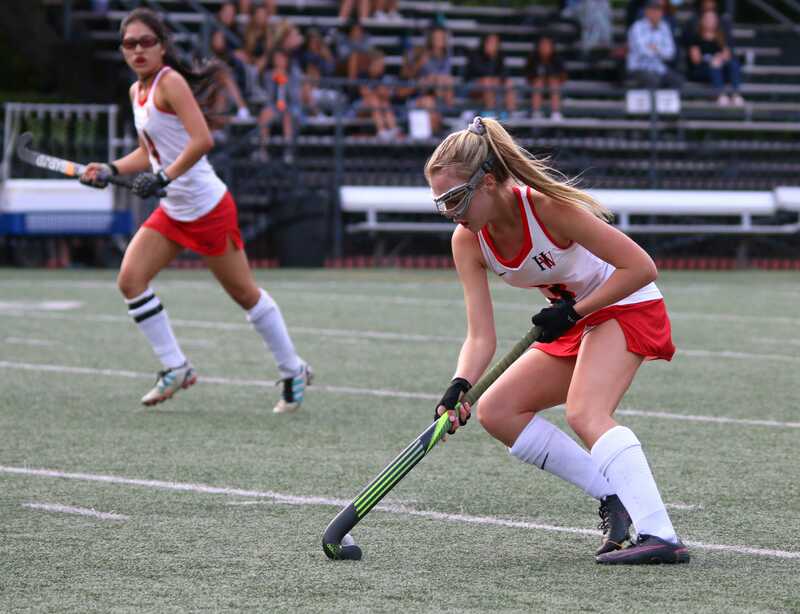 After a dominant, undefeated 2017 season, that same field hockey team is the 2017-18 Big Red Team of the Year. From the outset of the season, winning a championship was the team’s goal, several players and coaches said. The program’s first ever undefeated run saw several team members play at star levels, including seniors like former Sunset League Northern Section MVP Erin Lee ’18, forwards Mia Reilly ’18 and Nicole Bahar ’18, defender Alyse Tran ’18 and stalwart goalkeeper Elly Choi ’18. Yet it was Brown, one of the team’s rising stars who stole the spotlight over the course of the season, earning all-tournament MVP honors. Despite losing 11 seniors to graduation, the team is still poised for success next season, led by a new class of rising seniors and the rising junior Brown.